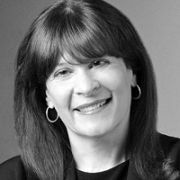 Throughout her Burnett career spanning three decades, Cheryl Berman has been responsible for much of the agency's most creative, brand-building and award-winning advertising. As Chief Creative Officer of Leo Burnett USA since 1997, Cheryl played an integral role in pitches, landing more than half of the accounts that reside in the agency today. Now, as Chairman, she continues to provide senior counsel to many of these brands. Cheryl has been a champion of results driven work and under her leadership Leo Burnett has been the most awarded agency for effectiveness for the past four years. A former journalist, Cheryl joined Burnett as a copywriter -- a job she has called the best at the agency. Proving to be a prolific writer and manager, she eventually became the first woman appointed to Burnett's Board of Directors in 1994. She has received a number of industry accolades including being named Chicago's Ad Woman of the Year in 1997 and being featured as the 'Determined Ms. Berman' in The Wall Street Journal's Creative Leaders series. She has also served on numerous award show juries including the prestigious Film and Titanium juries in Cannes and counts numerous awards including 20 Cannes Lions among her proudest advertising accomplishments. A Chicago native, Cheryl graduated from the University of Illinois at Urbana with a bachelor's degree in journalism. She and her husband Randolph Kretchmar have three children who provide Cheryl with insights and inspiration to keep her on her toes. Cheryl is a role model for women in the industry. In 2004, Cheryl struck a chord with a presentation called 'Miss Understood: She's Not Buying Your Ads', which made its debut at the International Advertising Festival in Cannes. She continues to speak on this topic around the world. Over the years, Cheryl has also written award-winning music for clients like McDonald's, Disney and Hallmark that has not only been performed by countless celebrities but has made it to the top of the charts. In 2000, Cheryl launched a full, in-house video facility as well as a state-of-the-art music house. In 2005, she introduced Burnett's 'Artist in Residence' Program, which builds face-to-face, working relationships between guest artists and the agency to streamline musical solutions and opportunities for marketers. This immediately successful new approach has been embraced by brands like McDonald's, Kellogg and Nintendo, and has been featured in Business 2.0, Billboard and The Wall Street Journal.